Plans to redevelop the RFK Stadium-Armory site were the topic of discussion in front of the large crowd that turned out at the Walter E. Washington Convention Center Thursday night. H/T NBC 4 Washington. 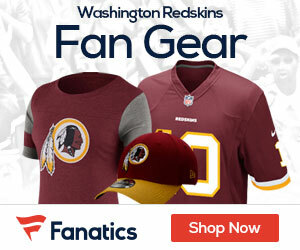 An option for a Washington Redskins stadium should the franchise choose that location. The team would have to cover the cost of the new stadium. Events DC is overseeing the project and believes they can have the first five options above ready for use within 2-5 years. 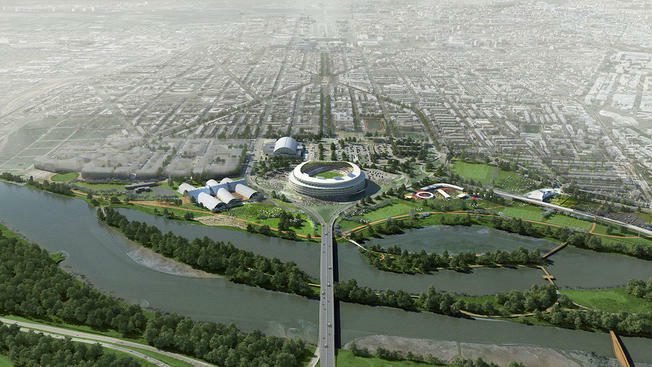 Obviously the team would still have to choose the site as the place for their future stadium, but it’s interesting to see the team name being mentioned in connection with the RFK site. For years now anytime the two were mentioned together it was always quickly followed with, “but they would have to change their name.” No mention of a name change came Thursday night. 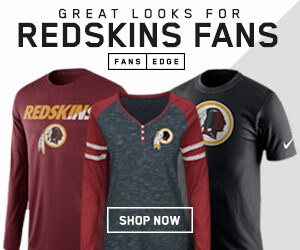 The Redskins have recently began searching out possible future locations for a new stadium. To this point, locations in Virginia and Maryland were under consideration from the franchise. The idea has been that the team was leaning towards the more name-friendly Virginia option since their front office is already located in Ashburn, but this could be a deal changer assuming the name issue is being dropped in DC.